There are times in the life of a person, a relationship, a work or an organisation to return everything back to the source. 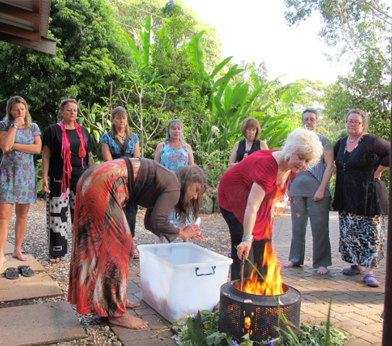 Shematrix created a powerful ritual, offering everything to the fire in trust that its rebirth will be healthier, stronger and more true. Byron Bay, Australia, November 2011.